Sanctions imposed on some well-connected oligarchs have already spooked foreign money managers. The detention of Baring Vostok executives including founder Michael Calvey highlights domestic dangers. Less capital will be willing to navigate the risks. Founder of the Baring Vostok private equity group Michael Calvey, who was detained on suspicion of fraud, sits inside a defendants' cage as he attends a court hearing in Moscow, Russia February 15, 2019. Michael Calvey, the founder of private equity fund Baring Vostok, was detained in Russia along with three other executives on Feb. 14. 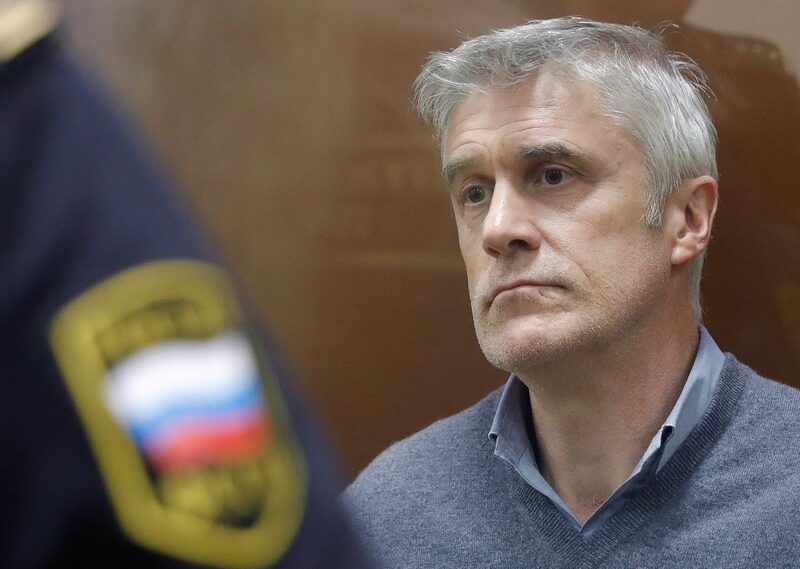 Russian state prosecutors on Feb. 21 formally charged Calvey with fraud. Prosecutors said Calvey and other executives at his fund were suspected of embezzling 2.5 billion roubles ($38 million) by persuading shareholders in Russian lender Vostochny Bank, controlled by Baring Vostok, to accept a stake in another firm at an inflated price. Prosecutors allege that First Collection Bureau (PKB), a company owned by Baring Vostok, borrowed 2.5 billion roubles from Vostochny Bank. Instead of repaying that loan, PKB transferred its shares in another company called IFTG to Vostochny Bank in February 2017, telling the bank’s board of directors that the shares were worth nearly 3 billion roubles. In February 2019, Vostochny Bank board member Sherzod Yusupov accused Calvey and the other participants in the deal of deceiving him. Investigators said an audit assessment allegedly stated that IFTG was worth just 600,000 roubles. The executives deny the allegations. Baring Vostok said it believes that the detention of its employees and the charges that have been brought are a result of a conflict with shareholders of Vostochny Bank and said it has full confidence in the legality of its employees' actions. In an open letter posted on its website on Feb. 25, Baring Vostok appealed to Russian President Vladimir Putin to take the case under his personal control to ensure it was investigated objectively. Shortly after the arrests Herman Gref, the head of Russian state lender Sberbank, and Kirill Dmitriev, the head of Russia's sovereign wealth fund, expressed support for Calvey, who set up Baring Vostok in 1994. "To achieve the massive targets before the country, we must get rid of everything that is restricting the freedom and initiative of business,” Putin said on Feb. 20. “Honest businesses should not be the subject of criminal prosecution," he added in an address to parliament.